Martin Water Conditioning began in 1973 when Dennis Martin set up an operation in his 200 sq. ft. garage in the small town of Myerstown. 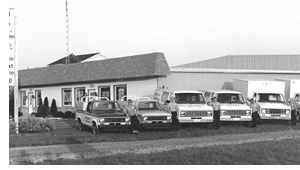 In 1979, a new sales and service location was built along route 422 one mile east of Myerstown. As Martin’s residential service began to grow, the company also moved into the agricultural and commercial water treatment arenas. Martin Water Conditioning’s customer base continued to grow, and over the next several years locations were added in Lancaster, Lebanon, & Berks Counties. Due to growing agricultural and residential water treatment activity in the state of New York, a sales and service facility was established in central New York. Service locations in Blaire, Somerset and Philadelphia counties fill the needs in western and eastern Pennsylvania. Today, with a network of locations, customers are provided with a quick response to their water treatment needs in Pennsylvania, central New York, northern Maryland, and northern West Virginia. 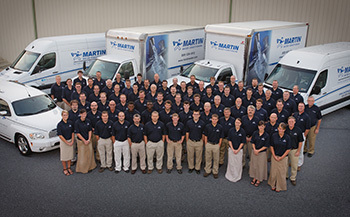 Martin Water Conditioning continues to be owned and operated by the Dennis Martin family with a team of more than 60 employees. Martin’s growth is directly credited towards the hard work and dedication of its employees and the loyalty of its customers. For the past 38 years, Martin Water Conditioning has developed a reputation for delivering excellent service, honesty in every commitment, consultations without high pressure and quality products to improve water. Our Golden Rule Policy ensures that you as our customer are completely satisfied. We serve you the same way we would want to be served; with friendly, prompt, and professional service. Martin Water Conditioning is committed to being the leader in our field by continuing education and innovation. We use only methods of water treatment that are scientifically proven and approved by the Water Quality Association. 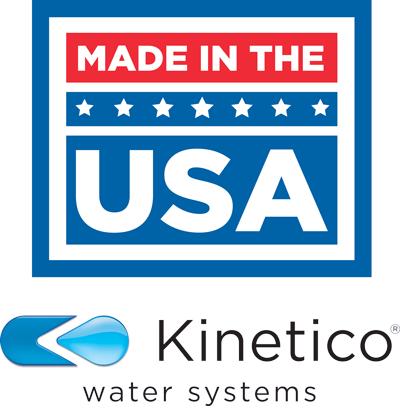 To be able to offer you the most advanced technology available, we are committed to researching the industry to find the most reliable and efficient water treatment products. You can be sure that if Martin Water Conditioning offers a product, it has been thoroughly researched and tested to ensure proper operation and results. Continuing education and training is another important principle that we require of our employees. We want to be sure that our personnel have the knowledge and skills to be able to solve your water problems effectively and efficiently. We want to continue our tradition of delivering excellent service, being honest in our commitments and providing consultations without high pressure. Our ultimate concern is your total satisfaction with our performance and the equipment we offer. With over forty WQA certified employees, Martin Water Conditioning has the highest number of employees in Pennsylvania who hold a level of certification with the Water Quality Association. Certification through WQA is important to Martins because it provides our technicians with ongoing education in the field of water treatment and gives them greater knowledge to serve our customers needs. Martin Water Conditioning has four water system operators who are certified with the Pennsylvania Department of Environmental Protection to manage small water treatment systems. Pennsylvania requires all small public water systems to contract with a certified operator. If you have received a notice to this regard or if you are looking for someone to manage your water system we can help assist you in this area.